Source: Jubilaeum-Album der Konferenz der Mennoniten in Canada 1902-1952. Jacob Hoeppner (Höppner), minister, teacher, and farmer: born 29 July 1850 (10 August 1850 N.S.) in Insel Chortitza, Chortitza Colony, South Russia. He was the third of eight children born to Jacob Hoeppner (22 June 1822–29 October 1885) and Katherina (Thiessen) Hoeppner (24 September 1819–21 May 1899). He was the great-grandson of the Jakob Höppner who was sent to Russia by the Danzig Mennonites to inspect the land. Hoeppner was baptized on 28 May 1873. On 24 August 1873 he married Aganetha Dueck (7 September 1853, Schoeneberg, South Russia–24 April 1922, Manitoba). Their marriage produced 12 children of whom six lived to adulthood: Peter, Jacob, Aganetha, Katharina, Anna and Maria. After the death of his first wife, he married a widow, Katharina (Bergen) Harder (24 January 1863–11 July 1935) on 21 January 1923. This second marriage lasted 13 years until her death in 1935. Jacob died 16 November 1936 in Winkler, Manitoba. Jacob completed his schooling in Chortitza and began teaching while still in Russia. In 1876 Hoeppner immigrated to Canada with his family. These must have been hard years as their first son died before they left Russia and the second died en route to Canada. After Hoeppner's arrival in Canada he taught school and was elected to the ministry of the Bergthaler Mennonite Church in Hoffnungsfeld. He was ordained to the ministry in 1887 and on 14 April 1903 he was ordained as assistant elder by Elder Johann Funk. He then served as lead elder between 1910 and 1926. During his years of service he played an important part in the renewal movement of the late 1800's in Southern Manitoba. He supported and gave leadership in church music, Bible studies and prayer meetings. Hoeppner received considerable criticism over the years largely related to the stand he took in the Gretna school debate. He supported Elder Funk in his progressive views on education. 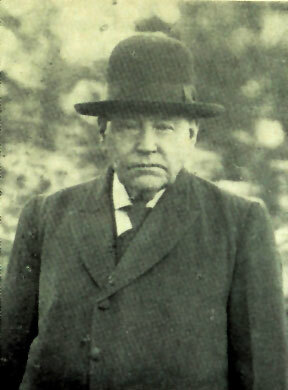 Elder Jacob Hoeppner died in 1936 at the age of 86. His funeral, which it is estimated 1500 mourners attended, was conducted in a tent erected on the yard of Winkler Bergthaler Mennonite Church. Rempel, J. G. Fünfzig Jahre Konferenzbestrebungen, 1902-1952, vol. 1. Steinbach, MB, 1954: 15. Jakob Hoeppner papers at Mennonite Heritage Centre (Winnipeg, Manitoba, Canada) : Vol. 2111-10. Brown, Sharon H. H. and Richard D. Thiessen. "Hoeppner, Jacob (1850-1936)." Global Anabaptist Mennonite Encyclopedia Online. January 2006. Web. 24 Apr 2019. http://gameo.org/index.php?title=Hoeppner,_Jacob_(1850-1936)&oldid=101171. Brown, Sharon H. H. and Richard D. Thiessen. (January 2006). Hoeppner, Jacob (1850-1936). Global Anabaptist Mennonite Encyclopedia Online. Retrieved 24 April 2019, from http://gameo.org/index.php?title=Hoeppner,_Jacob_(1850-1936)&oldid=101171. This page was last modified on 5 September 2013, at 04:32.